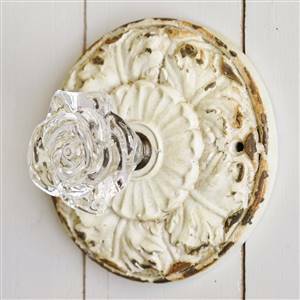 Cream vintage style ornate plaque rose knob handle, ideal for drawers and cupboards. 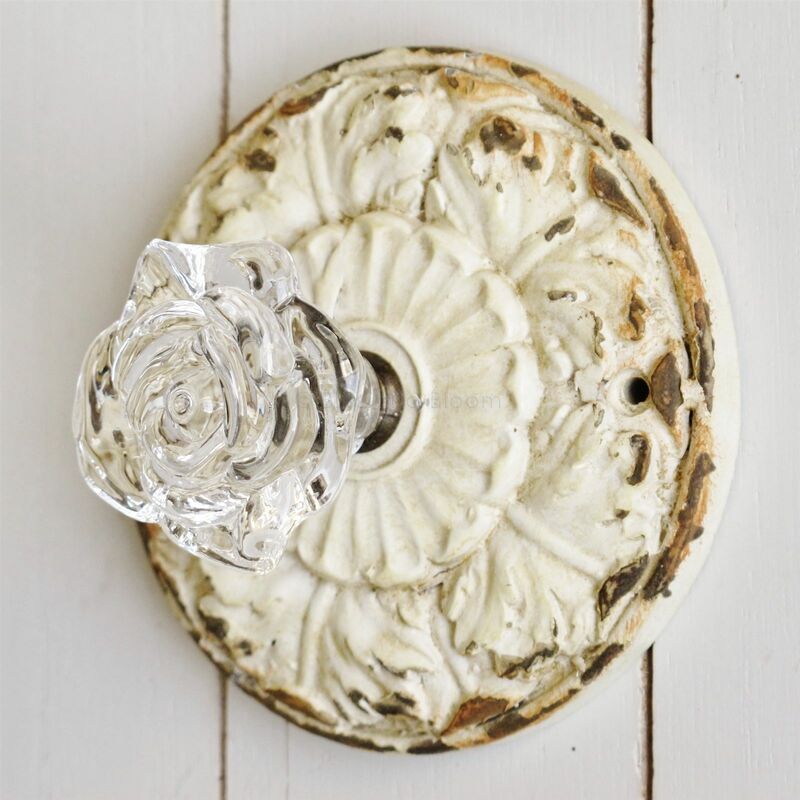 Has 2 holes for easy fitting. Dia.10cm, Depth 6cm approx.